That hot summer’s afternoon in Mr. Gibbs’ Class. 1937 was a momentous year in a momentous century but the machinations of kings, presidents and dictators, during that period of turmoil, were certainly not uppermost in the minds of those scholars, sitting in a Mumbles classroom on a hot summer’s afternoon. This classroom was that seat of learning (using the term loosely), occupied by the top class of Oystermouth Council School and was under the sole supervision of Senior Master, Mr. Gibbs. This gentleman was a patient, reconciled teacher who had in his charge a large class of boys, ranging in age from twelve to fourteen. Until this last tier had been reached, the entire academic journey through the School had been a co-educational one, but now that the dangerous age of eleven-plus had been reached, those in Council power had decided that there must be segregation. So, the boys were corralled under the control of Mr. Gibbs and, in an adjoining classroom, the girls were placed under the hawk-eyed supervision of the rapier-tongued, Miss “Fanny” Owen. Miss Owen was the only person I have ever encountered whose steel rimmed spectacles had the power to glisten with suspicion. Who knows what dreadful crimes of passion were frustrated by this partitioning? Town Councillors, on the Education Committee, sniggered into their chipped, stained mugs of Mazawattee tea as they remembered, so well, those hot summer afternoons when their own earthy schoolday passions were unbearably inflamed by two ounces of wine gums, a stick of liquorice and a glimpse of a bare ankle. This justified their stringent action and ensured that the morals of our children were protected between the hours of 9.30 am and 4.30 pm, Monday to Friday inclusive, except for that period of 12.30pm and 2.00pm when it was hoped that they would be too busy eating, to sin. This summer term was to be my last in that happiest of schools. At 10.15, on Wednesday, September 15th 1937, I was scheduled to become a pupil in Dynevor School and start the frightening journey into higher education. Sadly, only six boys would have this privilege and those left behind would be forced to vegetate until the age of fourteen when they would be thrust out into a world, where unemployment was rife. On that glorious July afternoon, Mr. Gibbs valiantly strove to stir his reluctant pupils from a state of transcendental torpor into one of mental activity which, at the best of times, was barely perceptible. There was much against him. After the excitement of the Coronation celebrations and the approach of the end of term, there was a general feeling of “flatness”, of ennui. This coupled with the confinement of healthy lads in a hot, dusty classroom on such a day, was a recipe for overwhelming apathy. However, he tried, and he tried hard, he was that sort of man. Instructions were given to class monitors, Norman (“Henry”) Jenkins and Percy Thomas (whose nickname is unprintable). 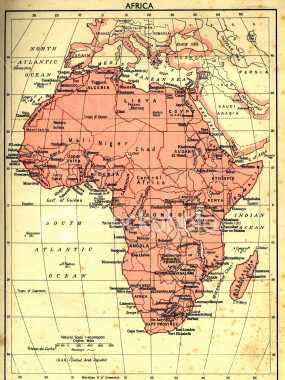 An atlas with its page opened to a map of Africa was slid under the glaring white light of the epidiascope and a picture of the continent was thrown upon the roller screen. In those cash-strapped days, there were no projectors and the shared school epidiascope did sterling work by being able to project a picture from an open book on to a screen, thus negating the need for expensive slides. Legs were stretched out under the iron and wooden desks as boys prepared to slouch unseen in the gloom, and escape into a woolly black, dream world of their own. In the semi-darkness, forbidden sweets, from Mr. George’s shop, were foraged from sticky, grubby pockets and inserted into mouths with sticky, grubby fingers. Soon, jaws were moving in sinful, cariogenic enjoyment. .
As he droned on, my attention strayed to the narrow shafts of light that penetrated gaps between curtain and wall. They shone diagonally across the corner of the room and picked out motes of dust dancing and floating on unseen, capricious thermals. Almost mesmeric. It was so warm, and so sultry! The lazy buzzing of a cruising blue bottle seemed to add to the heavy somnolence of the afternoon. “He’s only there because he’s got Jane and can swing on ropes all day”. As he named places, so he would indicate them on the projected map with a long, billiard cue thing. It was getting even warmer in the stuffy classroom and heads were drooping. The languor was almost palpable. Suddenly! There was a sharp dig in the ribs from Jack’s bony elbow and I jerked up. There on a line, approximating that of the equator, were two flies. They had obviously got access to the atlas page in the epidiascope. They were slowly approaching each other from opposite ends, one was in Nairobi and the other was in Libreville. A ripple of interest undulated across the room and heads began to lift, to monitor this most welcome distraction. Chewing jaws were stilled. Lollipops left unsucked. By now, one fly, having crossed Kenya, was cooling off in Lake Victoria, and its homing-in friend was enjoying the haut cuisine of French Equatorial Africa. There did not appear to be any passport or language difficulties. The two flies continued to near one another, crossing opposite borders of the Belgian Congo, simultaneously, thanks to their built in Sat-Navs. There was a slight pause here, no doubt to spruce up for the coming rendezvous, after all it had been a long journey. Then! Just to the East of Stanleyville, in the exact middle of the vast Belgian Congo, there was a great and emotional moment (a sort of fly-world “From Here to Eternity” beach scene). Norman Jenkins (“Henry”), throughout his life, was renowned for his dry, sophisticated wit. A member of the highly respected Mumbles, Jenkins Clan, he left school in 1937, at the age of fourteen, to enter office employment in Swansea. In 1941 he enlisted in the RAF and served his country well, until demobilisation in 1946. He immediately returned to the Mumbles scene and became a regular, bow-tied commuter on the Mumbles Train. He gladly spent the rest of his life here but, sadly, died at a relatively young age. Mumbles lost a great character and with him, a little sparkle from the local scene. Percy George Thomas, was a member of another old, and respected, Mumbles family and lived in John Street. He, too, left school in 1937 and by the outbreak of World War 2, was just old enough to enlist in the Merchant Navy, signing on at the tender age of sixteen. Percy was lost at sea, on 27th November 1940, one of the many thousands of Merchant Seamen who laid down their lives, running the gauntlet of the Atlantic U Boats. Again, Mumbles was a lesser place for the loss of this thoroughly decent lad.